Abstract: Paper aims: To shed light on how knowledge is shared between companies during a collaborative new product development (NPD) process. Originality: It is the first study of different knowledge sharing levels for each stage of the NPD process in an inter-organizational context. Research method: A research framework was created based on the literature. Guided by this framework, an in-depth case study was performed in a multinational company analyzing the knowledge sharing with the company’s supplier during a collaborative NPD process. Main findings: Different levels of knowledge sharing were found at each stage of the NPD process. Alavi, M., & Leidner, D. E. (2001). Review: knowledge management and knowledge management systems: conceptual foundations and research issues. Management Information Systems Quarterly, 25(1), 107-136. http://dx.doi.org/10.2307/3250961. Argote, L., & Ingram, P. (2000). Knowledge transfer: a basis for competitive advantage in firms. Organizational Behavior and Human Decision Processes, 82(1), 150-169. http://dx.doi.org/10.1006/obhd.2000.2893. Ayala, N. F., Gerstlberger, W., & Frank, A. G. (2018). Managing servitization in product companies: the moderating role of service suppliers. International Journal of Operations & Production Management, IJOPM-08-2017-0484. http://dx.doi.org/10.1108/IJOPM-08-2017-0484. Ayala, N. F., Paslauski, C. A., Ghezzi, A., & Frank, A. G. (2017). Knowledge sharing dynamics in service suppliers’ involvement for servitization of manufacturing companies. International Journal of Production Economics, 193, 538-553. http://dx.doi.org/10.1016/j.ijpe.2017.08.019. Bodas Freitas, I. M., & Fontana, R. (2018). Formalized problem‐solving practices and the effects of collaboration with suppliers on a firm’s product innovation performance. Journal of Product Innovation Management, 35(4), 565-587. http://dx.doi.org/10.1111/jpim.12432. Broberg, O., & Conceição, C. S. (2017). Learning from participatory design projects across industries. In Proceedings of the 12th International Symposium on Human Factors in Organizational Design and Management (pp. 426-427). Ontario: Association of Canadian Ergonomists. Büyüközkan, G., & Arsenyan, J. (2012). Collaborative product development: a literature overview. Production Planning and Control , 23(1), 47-66. http://dx.doi.org/10.1080/09537287.2010.543169. Carlile, P. R. (2004). Transferring, translating, and transforming: an integrative framework for managing knowledge across boundaries. Organization Science, 15(5), 555-568. http://dx.doi.org/10.1287/orsc.1040.0094. Christensen, C. M., Raynor, M. E., & McDonald, R. (2015). What is disruptive innovation. Harvard Business Review, 93(12), 44-53. PMid:17183796.
Cooper, R. G. (1990). Stage-gate systems: a new tool for managing new products. Business Horizons, 33(3), 44-54. http://dx.doi.org/10.1016/0007-6813(90)90040-I. Cooper, R. G. (1993). Winning at new products: accelerating the process from idea to launch. Boston: Addison-Wesley. Davenport, T. H., & Prusak, L. (1998). Working knowledge: how organizations manage what they know. Boston: Harvard Business Press. Eisenhardt, K. M., & Graebner, M. E. (2007). Theory building from cases: opportunities and challenges. Academy of Management Journal, 50(1), 25-32. http://dx.doi.org/10.5465/amj.2007.24160888. Enrique, D. V., Ayala, N. F., Lima, M. J. D. R. F., Marodin, G. A., Gzara, L., & Frank, A. G. (2018). The use of ICT tools to support collaborative product development activities: evidences from Brazilian industry. Production, 28, e20170099. http://dx.doi.org/10.1590/0103-6513.20170099. Frank, A. G., & Ribeiro, J. L. D. (2014). An integrative model for knowledge transfer between new product development project teams. Knowledge Management Research and Practice , 12(2), 215-225. http://dx.doi.org/10.1057/kmrp.2012.57. Frank, A. G., Ribeiro, J. L. D., Echeveste, M. E., & ten Caten, C. S. (2013). Relação entre características empresariais e fatores da transferência de conhecimentos entre projetos de produto. Produção, 23(1), 95-106. Frank, A. G., Cortimiglia, M. N., Ribeiro, J. L. D., & Oliveira, L. S. (2016). The effect of innovation activities on innovation outputs in the Brazilian industry: market-orientation vs. technology-acquisition strategies. Research Policy, 45(3), 577-592. http://dx.doi.org/10.1016/j.respol.2015.11.011. Frank, A., & Echeveste, M. (2012). Knowledge transfer between NPD project teams: a method for the identification of improvement opportunities. International Journal of Quality & Reliability Management, 29(3), 242-264. http://dx.doi.org/10.1108/02656711211216126. Frank, A. G., Ribeiro, J. L. D., & Echeveste, M. E. (2014). Factors influencing knowledge transfer between NPD teams: a taxonomic analysis based on a sociotechnical approach. R & D Management, 45(1), 1-22. https://doi.org/10.1111/radm.12046. Gonzalez, R. V. D., & Martins, M. F. (2015). Gestão do conhecimento: uma análise baseada em fatores contextuais da organização. Production , 25(4), 834-850. http://dx.doi.org/10.1590/0103-6513.145313. Laursen, L. N., & Andersen, P. H. (2016). Supplier involvement in NPD: a quasi-experiment at Unilever. Industrial Marketing Management, 58, 162-171. http://dx.doi.org/10.1016/j.indmarman.2016.05.023. Le Dain, M. A., & Merminod, V. (2014). A knowledge sharing framework for black, grey and white box supplier configurations in new product development. Technovation , 34(11), 688-701. http://dx.doi.org/10.1016/j.technovation.2014.09.005. Nonaka, I., & Takeuchi, H. (1995). The knowledge creation company: how Japanese companies create the dynamics of innovation. Oxford: Oxford University Press. Petersen, K. J., Handfield, R. B., & Ragatz, G. L. (2005). Supplier integration into new product development: coordinating product, process and supply chain design. Journal of Operations Management, 23(3-4), 371-388. http://dx.doi.org/10.1016/j.jom.2004.07.009. Polanyi, M. (1962). Personal knowledge: towards a post-critical philosophy . Boca Raton: Routledge. Ramadhan, F., & Samadhi, T. M. A. A. (2016, December). Inter-organizational trust and knowledge sharing model between manufacturer and supplier in the automotive industry. 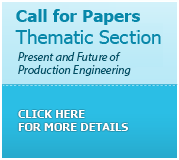 In IEEE International Conference on Industrial Engineering and Engineering Management (IEEM) (pp. 856-860). USA: IEEE. http://dx.doi.org/10.1109/IEEM.2016.7797998. Samuel, K. E., Goury, M. L., Gunasekaran, A., & Spalanzani, A. (2011). 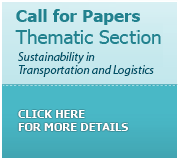 Knowledge management in supply chain: An empirical study from France. The Journal of Strategic Information Systems, 20(3), 283-306. http://dx.doi.org/10.1016/j.jsis.2010.11.001. Sinkovics, R. R., Kuivalainen, O., & Roath, A. S. (2018). Value co-creation in an outsourcing arrangement between manufacturers and third party logistics providers: resource commitment, innovation and collaboration. Journal of Business and Industrial Marketing , 33(4), 563-573. http://dx.doi.org/10.1108/JBIM-03-2017-0082. Song, M., & Di Benedetto, C. A. (2008). Supplier’s involvement and success of radical new product development in new ventures. Journal of Operations Management , 26(1), 1-22. http://dx.doi.org/10.1016/j.jom.2007.06.001. Ulrich, K. T., & Eppinger, S. D. (1995). Product design and development . USA: McGraw-Hill Higher Education. Voss, C., Tsikriktsis, N., & Frohlich, M. (2002). Case research in operations management. International Journal of Operations & Production Management, 22(2), 195-219. http://dx.doi.org/10.1108/01443570210414329. Wheelwright, S. C., & Clark, K. B. (1992). Revolutionizing product development: quantum leaps in speed, efficiency, and quality. New York: Simon and Schuster. Yoo, S. H., Shin, H., & Park, M. S. (2015). New product development and the effect of supplier involvement. Omega, 51, 107-120. http://dx.doi.org/10.1016/j.omega.2014.09.005.